Target and The Salvation Army provided 23 local students with a Back-to-School shopping spree. Twenty-three local students in need will have the opportunity to visit the Gunbarrel Road Target store to purchase school supplies, clothing and other must-have necessities on July 30, just in time for back-to-school. The Salvation Army and Target are helping 23 K-12 students across the city gear up for the upcoming academic year with the Target School Spree. 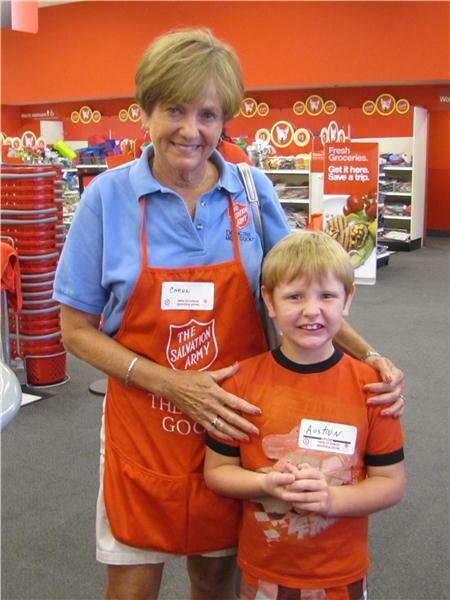 Each child, selected by The Salvation Army, will be awarded an $81 Target Gift Card to purchase back-to-school supplies. Additionally, each child will be paired with a volunteer chaperone for their day of back-to-school shopping. Since 2009, Target has sponsored Target School Sprees to help prepare children for the first day of school. 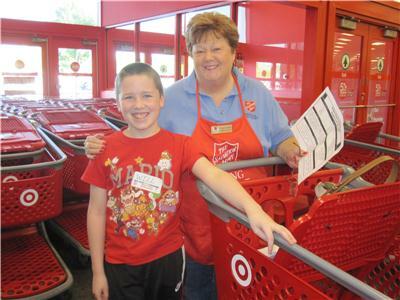 As part the Target School Spree program, Target has awarded The Salvation Army nationwide $1 million to cover Target Gift Cards and transportation costs. Nearly 500 Target stores will participate in the Target School Spree event between July 15-Aug. 15 in select regions across the country. Each $81 Target Gift Card awarded as part of the program will provide a child with the necessary supplies to go back to school in the fall, ready to learn. Through programs like the Target School Sprees, Target is on track to give $1 billion for education by the end of 2015.